What gives artefacts their power and beauty? 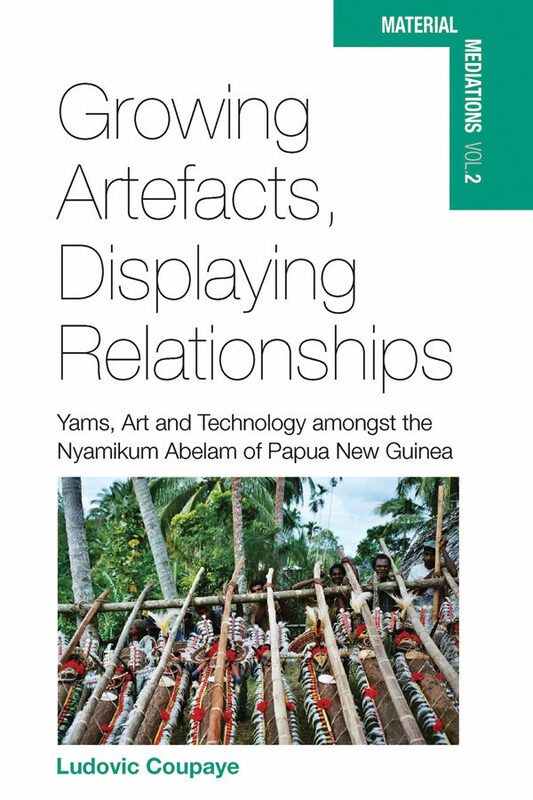 This ethnographic study of the decorated long yams made by the Nyamikum Abelam in Papua New Guinea examines how these artefacts acquire their specific properties through processes that mobilise and recruit diverse entities, substances and domains. All come together to form the 'finished product' that is displayed, representing what could be an indigenous form of non-verbal 'sociology'. Engaging with several contemporary anthropological topics (material culture, techniques, arts, aesthetics, rituals, botany, cosmology, Melanesian ethnography), the text also discusses in depth the complex position of the study of 'technology' within anthropology.